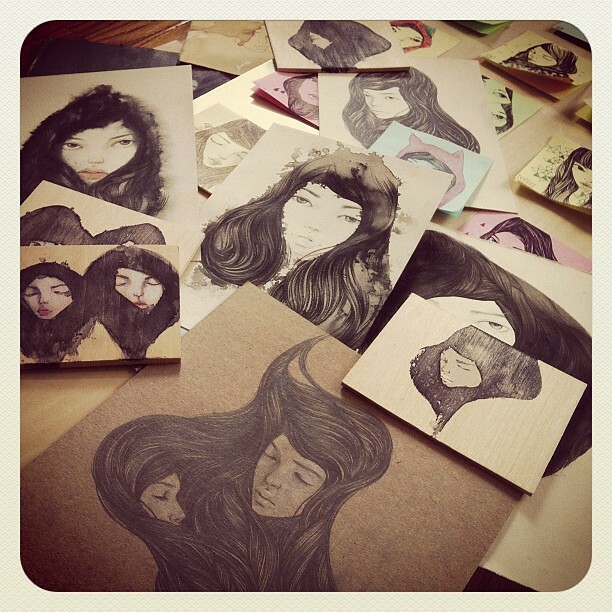 i'll be holding my annual Small Originals Studio Sale (like in '10 & twice in '11) this saturday! past - but probably around 15-20 pieces, perhaps - so please mark your calendars! Giant Robot's 8th annual post-it drawing show (where each piece is $25, cash-and- carry) in LA. also some new products i forgot to mention here! 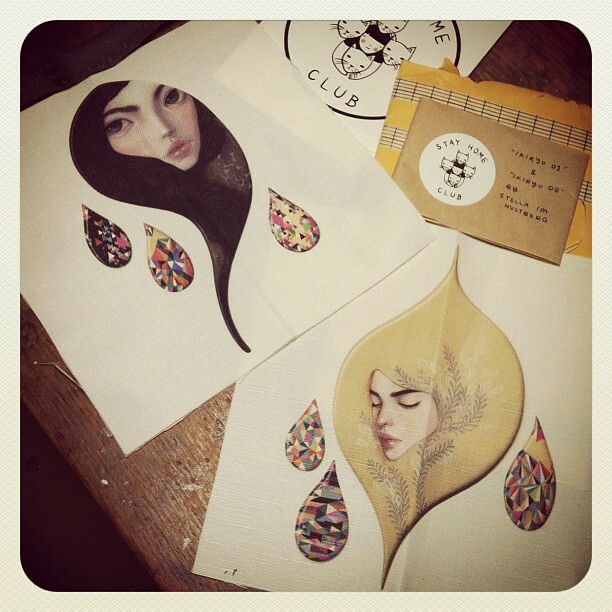 amazing line of artists' fabric goods), a couple of the designs using my artwork from my last show! Ikiryo 01 Patch, $6, available here! Ikiryo 08 Patch, available here! i've gotten a sample of them here and they're really awesome! a print), or cut them up into individual shapes and sew/iron them onto your clothes, bags, pillows, etc! view all her other fun patches here!